A robust tobacco vape that goes back to the basics; Tobacco 1961 provides a powerful, nutty, earthy and smooth tobacco with a touch of luxurious creaminess to end the flavour journey. This incredible tobacco flavour serves as an excellent all-day vape. This e-liquid comes from Manchester-based Vampire Vape, pioneers in new and creative vape flavours. All e-liquids are made in their HQ with top-quality, pharmaceutical grade ingredients. 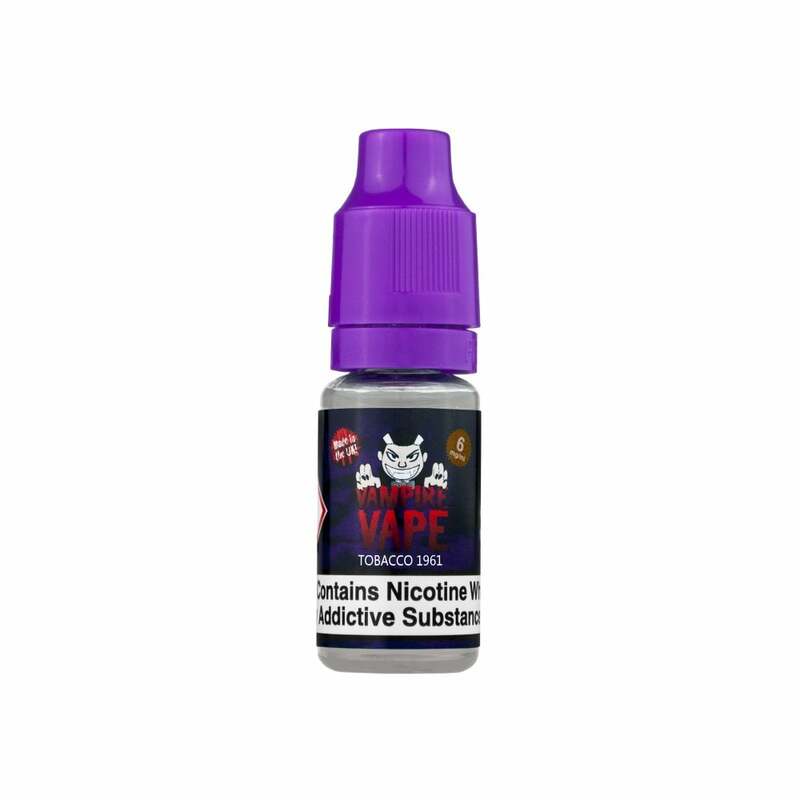 Boasting a range of over 60 flavours, Vampire Vape have years of experience in e-liquid development as well as full-time flavourists to ensure every bottle as is tasty as it possibly can be. The e-liquid contained in this product is approximately 60% propylene glycol (PG) and 40% vegetable glycerin (VG).